Home » Academics » Schools » School of Science, Engineering and Technology » Faculty » Tafesse Borena, Ph.D.
Tafesse Borena, Ph.D., is an Assistant Professor of Industrial Engineering. He joined St. Mary’s in September 2016. Borena received his Ph.D. in Mechanical Engineering from the Indian Institute of Technology Roorkee in India in 2000. He also received his master’s and bachelor’s degrees in mechanical engineering from Don State Technical University in Russia. 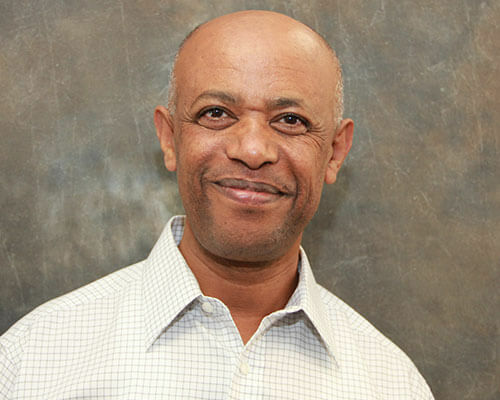 He had taught engineers and technologists in various academic institutions both in the U.S. and in Ethiopia for about two decades. Borena’s main research area is manufacturing and industrial engineering. Particularly his research relates with design for manufacture, computer-integrated manufacturing, automation and robotics, optimization of manufacturing processes, and additive manufacturing.